Power Plants. £6000 link with Yorkshire Dales Rivers Trust in 2018. We are keen to make a change for the better from our side of the fingerboard this year. We are getting busier and one thing which is often on our minds is the climate and the environment. Whether it’s another day of 90% humidity at the crag in a warm british winter or hearing a snipe hunting when walking out from Back Bowden. If we tune into the natural world its often a pleasant experience. Sadly the way the world is going at the minute there are many signs globally that humans are having a net negative affect on it all. Walking in Font. A very very good forest. Succoth in Arrochar (Scotland) a horrible forest of impenetrable conifers, a good example of battery farmed trees. 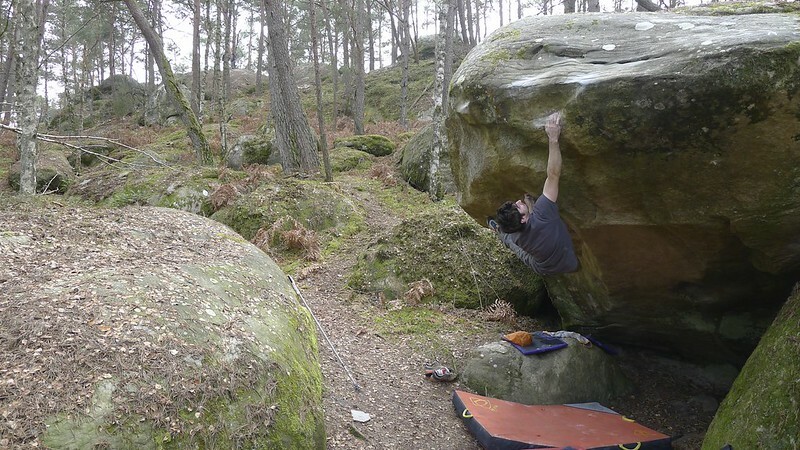 Thoroughly unpleasant to explore in-spite of the odd world class boulder. Over the years we have put lots of money into making the other parts of our business as sustainable as possible. From the big stuff like ensuring ecotricity are our electricity supplier and buying briquette presses to compact and recycle our wood waste to the small stuff like only using one tiny bit of plastic in all of our products (the screw bag and the scotch tape). Its nice to try and ensure the biodegradable trail we leave is short and insignificant. We have invested in carbon offsetting schemes in the past using courier programs/donations however we have never seen any direct results from the donations and I have seen far too many photos of people in suits stood next to conifers (walk through the pine needle strewn floor of any forestry commission forest and you will see what a dead environment looks like) this definitely lead us into a jaded mindset with it and 2015/16 we did little in the way of carbon offsetting. We feel that clear project funded carbon offsetting makes the whole experience much more rewarding when each donation funds a project which is well researched and has a positive benefit on the landscape, environment, habitat, watershed up to CO2 capture. Thankfully in the UK we have so much deforestation in our history of landscape management, there really is no shortage of places to look to reintegrate trees and shrub land. By focusing on catchment orientated projects we hope to start in the right place as the benefits these have aren’t simply in CO2 absorption but in flood mitigation too. The more the UK government sees the benefits of these schemes the more likely they are to follow that path rather than policies we really aren’t keen on seeing used on a mass scale like dredging and big concrete flood defences. The first Project we have funded is a £6000 donation to replanting woodland in parts of the Upper Wharfedale catchment. The Wharfe is the river that runs past kilnsey but it has a fairly large catchment which includes some of Yorkshires best crags. Rylstone is a crag which lies on Barden Moor that is a key part of the catchment for the Wharfe, as you can see. Not many trees going round. our trees will be nearer to the river, we wouldn't want to upset that lovely grouse now would we! We are still essentially a company of four staff, with a few helping hands now in busy times and for the handmade holds. So whilst its nothing like a Patagonia level of giving we feel like we’ve got a good connection set up to the landscape now and can directly feedback into it in a positive way. To top it off I’ve done a bit of boulder seeding for those Yorkshire lot of my own, scattering a dozen new eighth grade problems and some 7's down on the gritstone for the local boulder squirrels to play on. That was until a broken wrist put a stop to climbing for a while. There are a few pictures below. Solving the blobby slab LGP up at Earls seat in a session back in October. Lovely subtle problem this and just look at that self seeded conifer making this one of Barden fells few forested venues. Eagle Eyes will spot the river Wharfe down below and not many trees kicking about. Ideally most water would pass some trees from fell top to valley bottom to help slow the flow rate down a bit. This problem is one for Yorkshire's High Fidelity ascentionists to ground up who think style makes no difference to difficulty, get to it chaps. 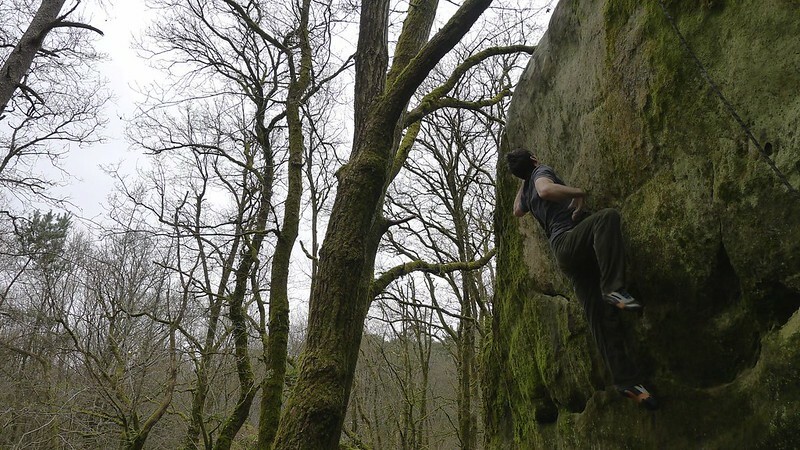 A nice new slap and mantle of mine called Happy as Hell in Nidderdale, good for getting those soft yorkshire triceps working (except for Sutty's, he's put the time in well). The waft of the heather burning off really added to the aroma that day, not a tree in sight, grouse actually love sparse forests but its hell for the toffs trying to shoot them so they don't bother putting them in, or in fact plant anything but heather. its just not a fair sport if you've got any cover. Still it makes finding the boulders and access rights easier. A problem i did from a sitter involving Fairies and Chests. Solved fairly fast with some shoulders and tension. Another one on Barden moor, good for getting those soft yorkshire abs working. So get out there and connect with your landscapes, but remember to stop and question them once in a while. The only true wilderness left in the UK is patches up in Scotland and even that is shrinking. All other landscapes are some sort of managed environment. If you don't like how they're managed, try and help with positive change. http://www.yorkshiredalesriverstrust.com even grouse moors have their positives and negatives and in general they are still a lovely place to be. Well it’s now or never on the blog front i think. I’ve left it for as long as i can but like peoples tax return it is starting to become a thing i really should’ve gotten round to by now, but it’s been pretty busy in the work and personal life in 2015. Regardless Its nice to glance back at what has certainly been the best year of my life both on and off the rocks. On the rocks i’ve been pretty busy locally this year just getting out lots and getting stuff done, there’s been loads of great things keeping me entertained this year and its only now, in january after 3 months of the BBC “storm personality of the year” contest that i’m finally beginning to feel the weight of all this rain. On the whole the weather in 2015 was fantastic, it just really, REALLY, let itself down in October. Thanks a lot El Nino, you meanie. This was supposed to be a blog about another nonsense number. Establishing my hunderedth UK 8A-8B+ but thanks to the abysmal weather i’m stuck on 95 straight ups (no traveses no link ups) and am into another year. For some relation, there are 126 straight up 8’s in the latest 7 and 8’s guidebook for all of font (although many more exist now). Thats a decent amount to try and catch up to for any hobbyist i think. What keeps me inspired, and actually blogging, is seeing others getting out and pushing standards in new areas of bouldering. To me pushing standards will always be completing new gaps that have never been managed before as it poses a much different question of is it possible? rather than can i do it? 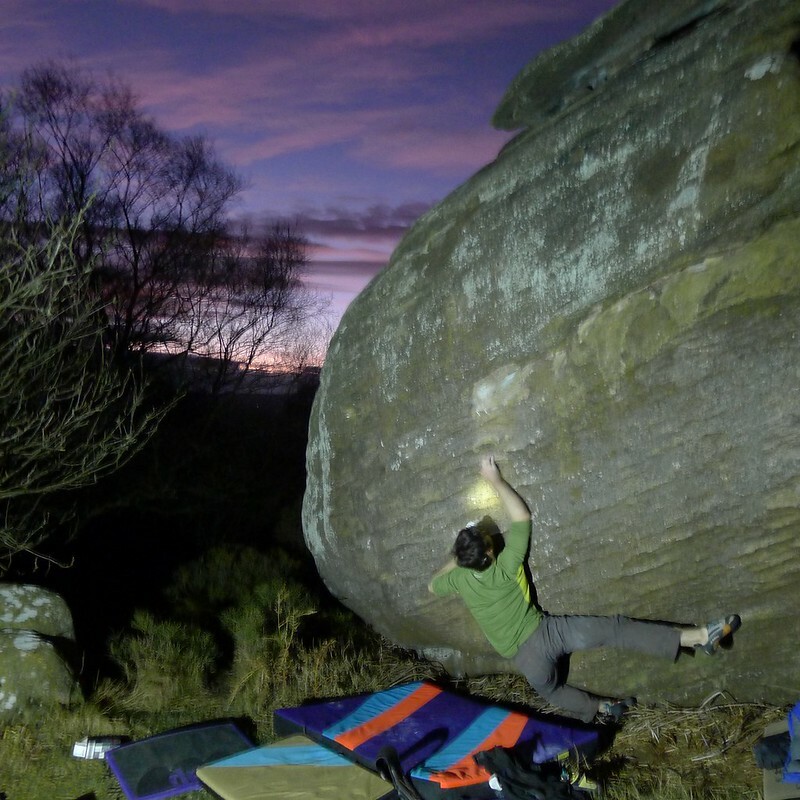 I put up 26 grade 8’s in the UK this year but i reckon i failed on just as many projects (see above for just one example), those are what keep me interested and wanting to improve in climbing. And whilst i repeated over thirty "8’s" too (i think a balance between FAs and repeats is really good for ones climbing. If you look at the best globe trotting boulderers they do this well on a world stage) Its mostly the new stuff that sticks in the old scrap book for me this year. Here’s a few highlights from my year on the rocks. Font: I’d had a jittery start to the year and was questioning my form when i went out. 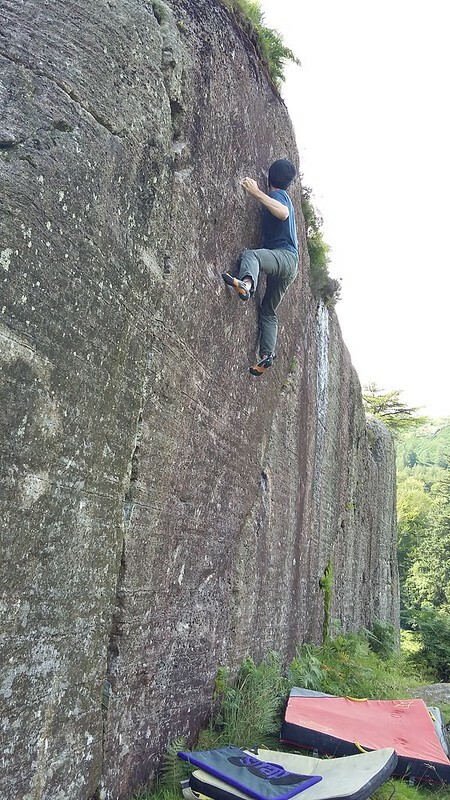 I’d been getting shut down on the prow at high crag as well as a project on the bowderstone and was definitely losing perception of how i was climbing and some confidence. Confidence is often key to getting things done and trusting oneself in a sequence. After two weeks in font i came away with a very healthy ticklist, but more importantly i was confident in how i was moving on rock again and what i can do. It was also made all the more special as Katie and i got to catch up with some great friends as well as meet some new ones. April: This was a month i’ll never forget, If its the best i ever do then that’s fine. Establishing twelve straight up 8s (8A-8B+) in the UK in just over 30 days would be a good run by anyones standards (its more than a lot of good boulderers in this country have done in their entire lifetimes, a pointess comparison but some context nevertheless) but when i look at the problems i got to climb on and the dots i got to join there were some crackers in there. I even felt moved to blog about it at the time, so theres more there if you’ve somehow missed that being on our webpage all year! Fairhead. The trip that broke me! Brimham: Somehow it’d escaped and i hadn’t visited until September this year. It was pretty warm and still but on my first visit. I ran round like a nutter in between holding the baby. Time was short as we didn’t have our routine ironed out so i actually tried to flash things for a change. I managed the excellent slapstick 3rd go i think and topped it out. Flashed the fonze 8A and to you too (7C) amongst other easier problems and got a better sense of the place. two more visits after and i had done most of the established lines at or above 7C+ and many below and was getting the feel for it so i started looking at the odd gap and did the two below. It’s been great fun climbing at Brimham and i’ve never been so perplexed by a major venue. There are amazing 8’s left totally ignored like Pinky SDS. and over graded eliminates like To You Too which get lots of attention. 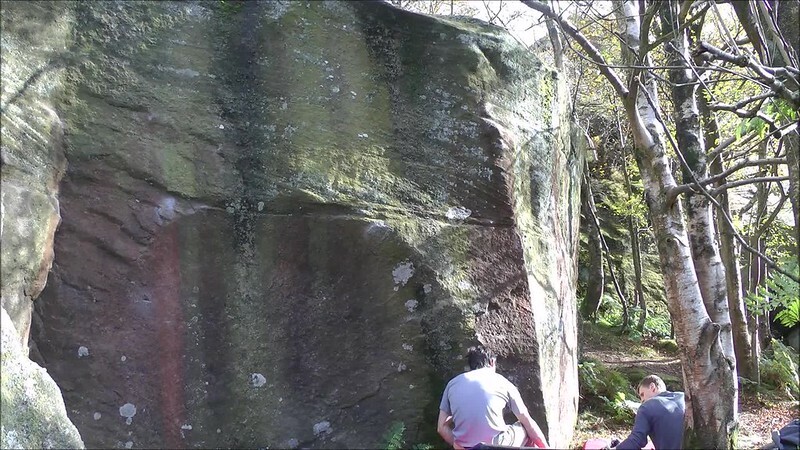 Scrittly lowballs get hammered and one of the best 7B’s i’ve done in yorkshire (Belly Porkers Progress) seems relatively ignored for how many people operate at that grade nowadays. It might be because they are a little further from the car but it seems more like many peoples only way to make sense of the jumble of rocks is to find whats popular and try that as its clean and a certainty. 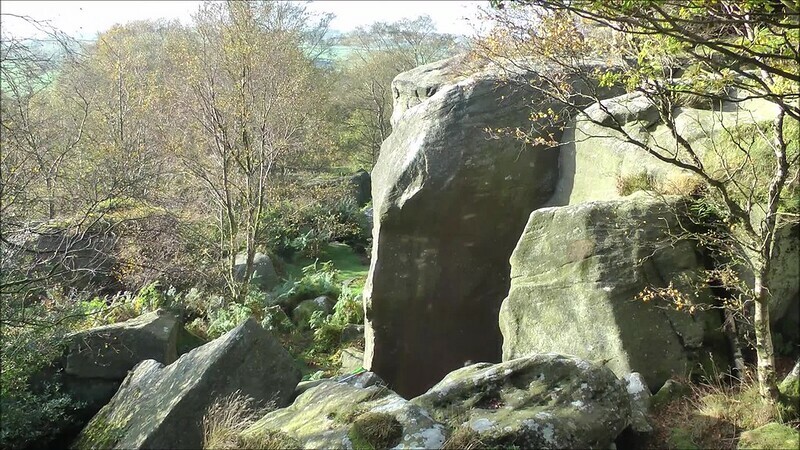 Regardless of the disparity its my favourite venue in yorkshire at the minute, although i think much of that is because i like to solo the trad routes there in combination with bouldering as they lie side by side. One minute i’m having a memorable time on an E3 top out and the next i can be fiddling about on a hard problem, great fun. Torridon. With Storm Abigail on the Radar this five day trip looked like a washout. If we’d ben going in the van i reckon we’d have bailed. We’d booked a cottage though and, regardless of the weather, it was a nice place to read a book by the window. In terms of climbing it was pretty all over the shop as i didn’t know whether i was coming or going with the rain squalls. We had to pick steep stuff that faced the right way and bez to the pub or cafe when things got a bit much. 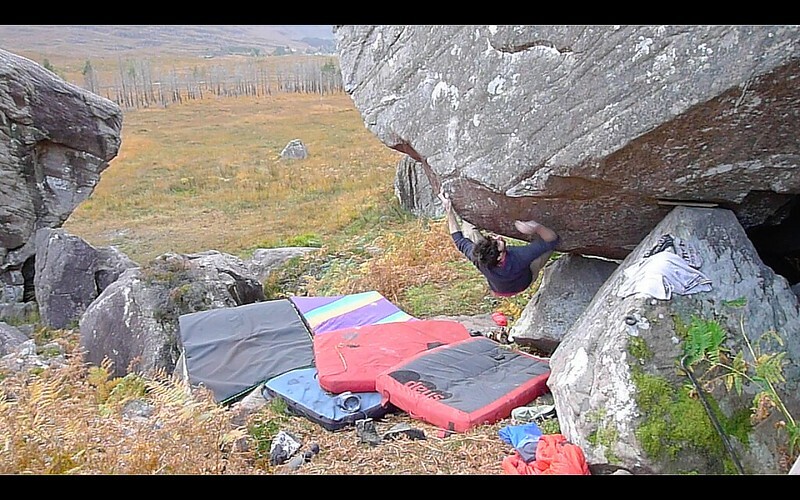 On the first day i managed to lift my heaviest ever rock before i restrained myself and got back to the climbing. Help and hindrance came on the third day with the arrival of Richie and Bronwen respectively. Richie sent me up a rock whilst Bronwen set to work on my socks. A cunning double act which has left many a cold foot in the Gairloch area and beyond. Richies project was Phoenix Nights, and as luck would have it mine was the weatherproof sit. The day before i’d sorted the upper landing so we needed less pads, but we didnt think to put one down the bottom as a fall down there was unthinkable. I got through the sit fast, cocky in that i’d remember the stand from 5 years before (as you do) well i did until the last move where upon belting for the top i found myself at least six metres below. I’d flown off backwards, straight over the mezzanine and straight onto my back. This has got to be one of my luckiest ever falls as i narrowly missed a back breaking rock and landed on a squidgy bilberry patch. after about 45 minutes of regaining my wits and massaging some whiplash, as well as actually sussing the top again i blew its bleeding doors off. It was rather good comeback after a big KO. Richie was close to phoenix and was just ripping off the drop in at the last minute. Alas it wasn’t to be that day but he turned up with Gaz on Saturday to make himself feel better about sieging it. Gaz was trying Malc's. I’d last seen Gaz 3 years earlier; when he was trying Malc's… I think Richie thought he was safe amongst disconsolate friends by accompanying a tried and tested siege weapon along. but Gaz was packing something in the trebuchet that no one saw coming that day. The big fat rock of Success. In a few swift tries he’d whisked his way to the top, stepping through a massive glass ceiling and onto the top floor, awesome. No one knew what to do except congratulate him with a well done. Richie must have felt the pressure of his excuses crumble from below him and the next thing I knew he was on top too on the second known ascent of the stand. 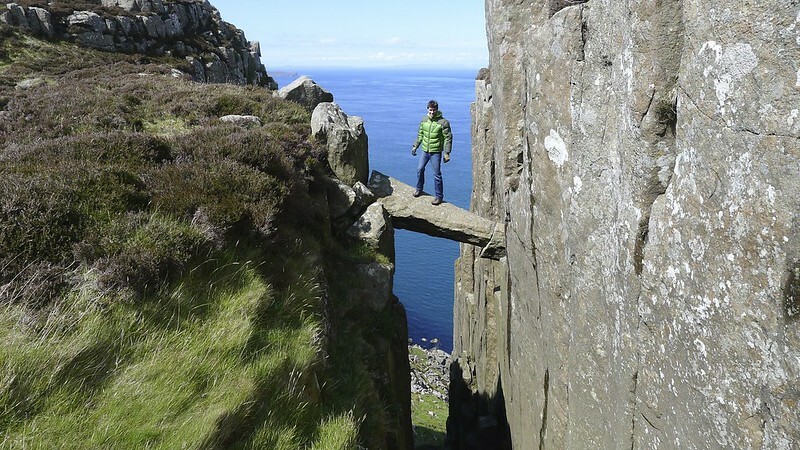 To me this was a brilliant sight and really what climbing is about. It was incredibly inspiring to see these guys getting out and getting things done despite busy lives and bad weather. It’s thanks to people like them and others in Ullapool that the scene in the north west is really exciting to me. They have excellent rock up there and are getting out amongst it and finding some brilliant challenges. The Lakes: For much of my life i’ve had the dirty little secret that despite being a Marra, born and bred, I’ve not really put much time into the Lakes. I’ve done quite a bit of trad, but when it comes to bouldering i was pretty bad for just going to St bees, the Stone and Kentmere. This year i started setting this to rights and pulled my finger out a little. It was only my small mindedness that had it pegged as being limited. The Limbic System 8A+/8B best without sound! Much of that attitude comes from when i was 17 and looking for the Mandala but not finding it. Looking back i didn’t even know where to look. Now that i’m 28 and a bit more grounded i decided to look for what was there and try to climb it. Some of the projects i found this year in the lakes were lucky finds. And before half of it washed away in December it was the place i was most keen for in the UK. 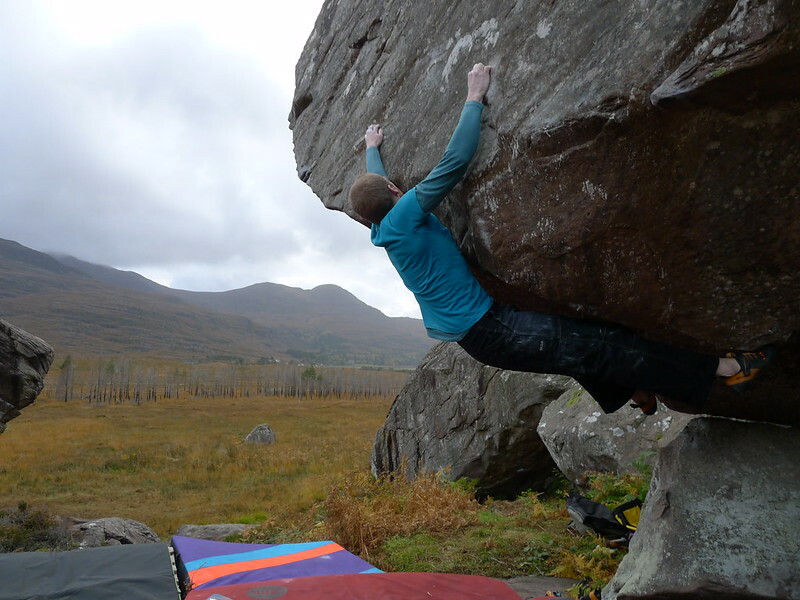 If it dries out in 2016 i’ll be cracking on looking for stuff in a really active local scene, lots of people bouldering in the 8’s. It’s been nice to see just how popular the lambrini boulder has become thanks to Greg’s efforts, we had a great afternoon putting those up. I’d like to put an addendum in a few links to some new stuff other people have put up this year that i think are inspiring. Whilst globally its easy to pick projects and book a flight its always nice to know there are new projects in the UK after work or on the weekend or for those who want a project closer to home. so heres just a snapshot of what really inspired me this year. The Cunninghams, Two young lads from ullapool found what looks to be one of the best quality, wall style, bouldering crags in the uk. Knowing how good sea washed Torridonian sandstone is i am really inspired to go and check out their hard work sometime. 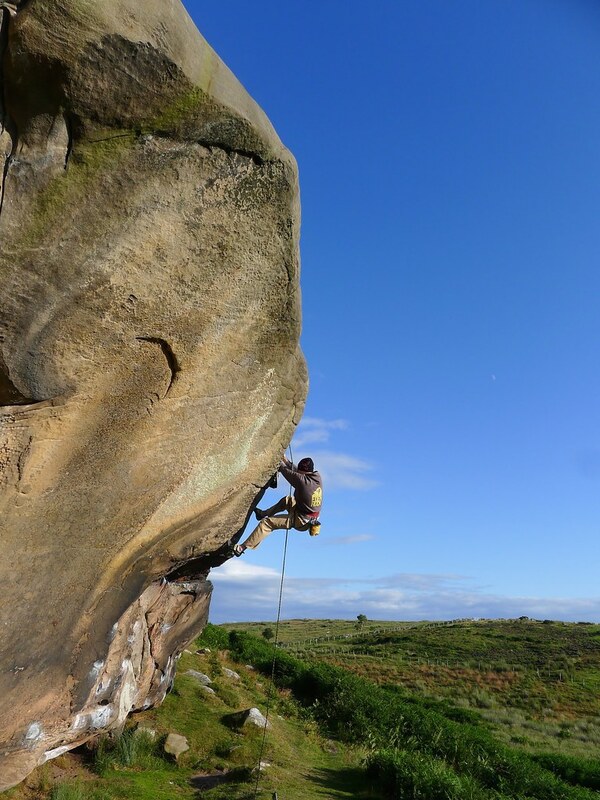 Ned and Jon Boy put up a bunch of new classics in the peak with Heavy Sky 8A+ being the hardest, but stuff like Crich On a Bike look equally good additions, if the peak isnt climbed out, then everywhere else has a long way to go. 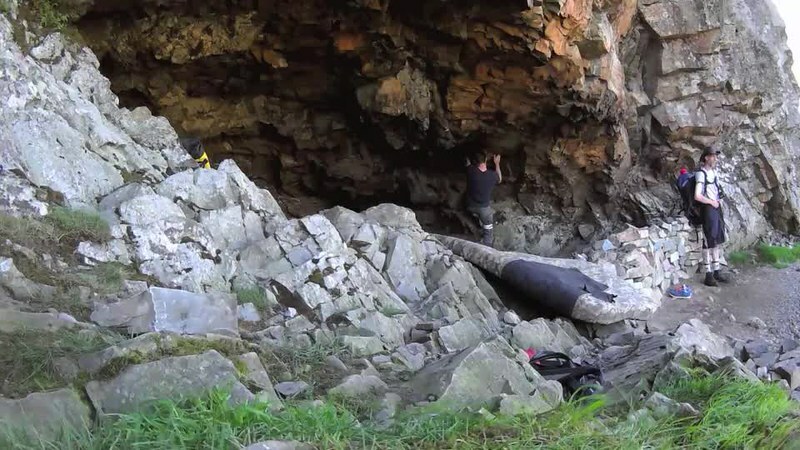 Liam Fyfe and Alex Mannion have been developing a steep limestone cave that looks like it should be in spain, but its in the UK, their other additions look good too. Ricky Bell put up the incredible Gentlemans arete and added a sitter to john 3:16 along with a clutch of great new sevens at the head, Northern Irelands first 8B and a world class one at that. 8B: The limbic system (8A+?) Northern Time? All the above was made much more fun thanks to these two this year. Many many thanks to MBC. Scarpa, organic and friction labs and Eden Rock for the support this year and of course to anyone who bought a beastmaker.